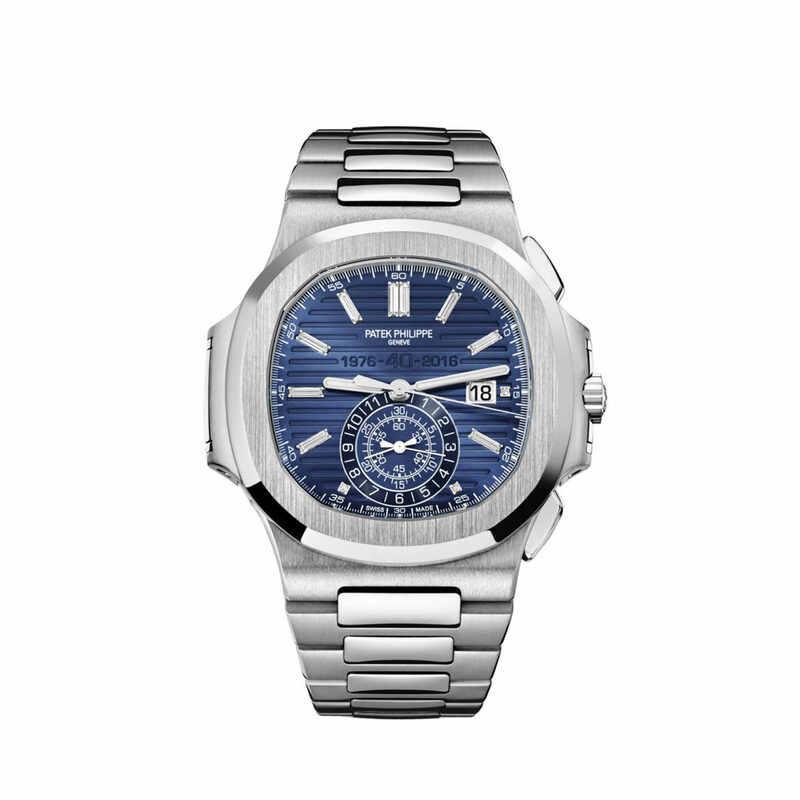 This Patek Philippe Nautilus Chronograph Ref. 5976/1G 40th Anniversary celebrates the 40th anniversary of the Nautilus. Together with the smaller Nautilus 5711/1P; you can read about that one here. The Nautilus originally debuted in 1976 (reference 3700/1A) with a 42-millimeter wide case. Big for that time and that is why it got the nickname ‘Jumbo’. But this new chronograph deserves that name even more. 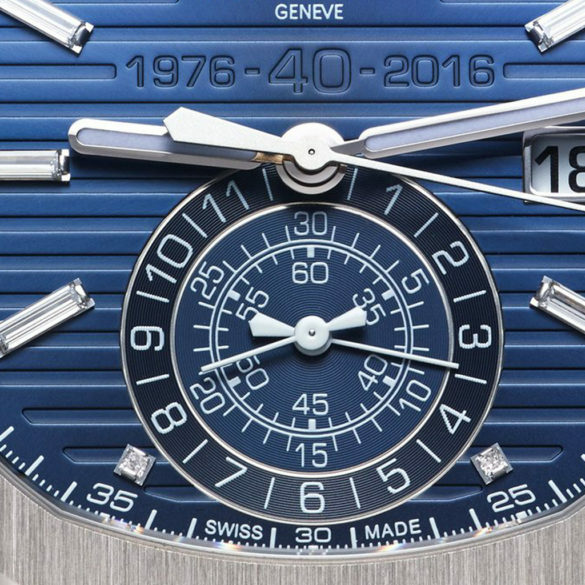 You might think that one of the oldest and most prestigious Swiss watch brands is somewhat conservative. Well, this model isn’t. It is almost 50 millimeters wide. 49.25 to be exactly. With a 18K white gold case. A handful of diamonds at the hour markers. And “1976 – 40 – 2016” embossed on the dial. That is far from conservative. Some people even think it’s over the top. Or at least not very subtle. Not very Patek. But hey, a 40th anniversary justifies a little party. 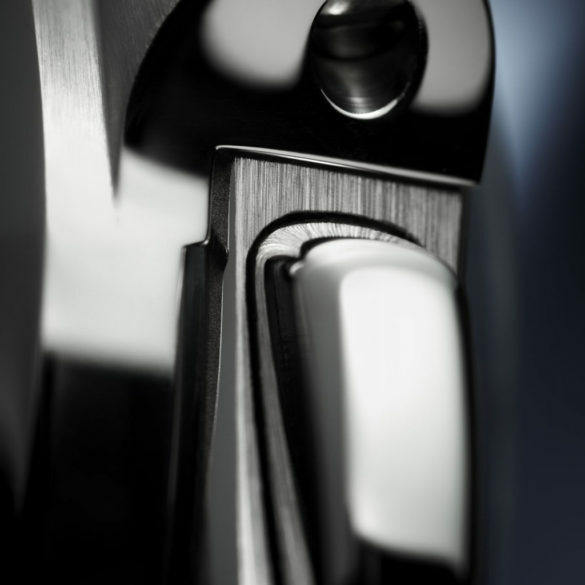 Besides: the case measures 44 millimeters across the dial aperture. The cushion shape just makes it a little bigger. Inside the Patek Philippe Nautilus Chronograph Ref. 5976/1G 40th Anniversary you will find Patek’s CH 28-520 C self-winding mechanical movement. A true chronograph movement with an add-on module for the calendar. It provides a power-reserve of 45 to 55 hours. The 5976/1G is a kind of evolution of the 5980 chronograph edition of the Nautilus, launched in 2006. And grabbing back to the older Nautilus models, you should take a look at the box. The 5976/1G comes in the famous cork box. The same box in which the first Nautilus was delivered. At least that is very subtle from Patek. 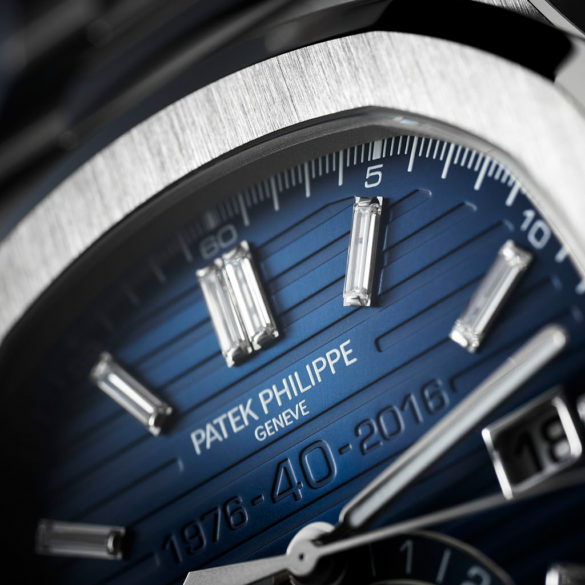 The Patek Philippe Nautilus Chronograph Ref. 5976/1G 40th Anniversary is limited to 1,300 pieces and has a rather friendly price. For a Patek. 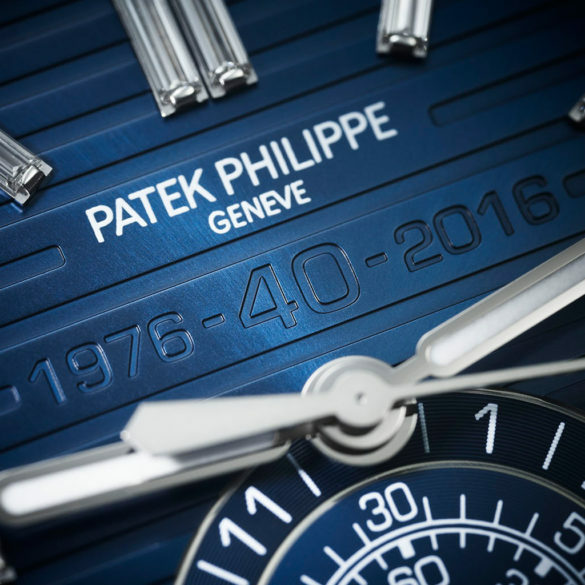 Below the specs you can see the promotional video from Patek Philippe.